We don't use an ice cream machine to make our ice creams or frozen yogurts, though of course you can use one by all means. 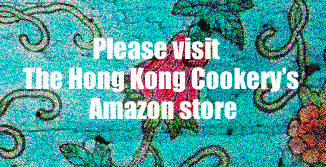 We just simply don't have the room in our teensy Hong Kong kitchen (approx 6 feet by 3 3/4 feet) to add another gadget. So we just do it the old, old fashioned way, by beating it by hand as it freezes. It's really not that hard at all to make ice cream without a machine and homemade ice cream is so good and so fun to make with the different flavors that you can play around with. And you don't have to worry about all the preservatives and other stuff they put into commercial ice cream. Right now we have two homemade flavors in our freezer, yeah! You can see in the photo above that we sprinkled a bit of organic chocolate rice puffs over the ice cream for a bit of crunch and added fun for our little girl. Yum, yum, what a fun summer treat! Cut up strawberries put with the sugar in a big bowl and toss. Let sit for a couple of hours, stirring once in a while. This is a process which is called macerating, in which you mix fruit and sugar and allow time for the sugar to draw out and intensify the juices of the fruit. Don't skip this step. It seemed to be the key for the wonderfully intense flavour of the final product. If you taste the syrup that forms in the bowl after a while, you will see what I mean. Add yogurt and lemon juice to strawberries and blend (I use a hand blender) until smooth. Cover and stick in the freezer for an hour. Check it and if the edges are forming frozen crystals, beat til smooth. I just use the egg beater. Stick it back in the freezer, checking every half hour or so and beating smooth all the ice crystals that will form starting from the sides. The more ice crystals you beat out at this stage, the more smooth your final product will be. The mix will slowly get thicker and thicker until finally it is all one uniformly textured gooey mass (3 or more hours). At this point you can serve it soft or transfer to a container and let it freeze hard. When you want to eat some, take it out of the freezer and let sit for 5 minutes or so to soften before scooping and serving. hello! i am from Singapore and ichanced upon your blog while googling for red bean soup recipe. I am inpressed! beautiful blog filled with recipes of many wonderful heart warming food. I also read your article on the different types of sugar. which kind of sugar do you recommend for making ice cream like this? Thank you and please continue blogging. Your blog is on my favourite list! Thanks for your kind comments! We use raw sugar for most things, including this ice cream, as raw sugar is very lightly processed sugar, allowing for a more rich and complex flavor, yet it is not too dark in color like brown sugar.